I was looking back at posts, realizing that I have been doing a follower giveaway each month, and it is June and I have not done a giveaway. Hmph. Time to fix that. What do you say to winning both pairs of these earrings? Mandatory entry: Be a public follower of this blog via Google Friend Connect. Leave me a comment telling me so. 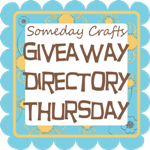 Extra Entry: Like my little lovelies page on facebook. You can do that by clicking here or on the facebook button on the right sidebar of my homepage. Leave a comment telling me. The giveaway will end on Friday, July 1st at 10:00 pm CST. This giveaway is open to anyone - US or international. Thanks for being such sweet followers. I follow on Google! And July 1st just happens to be my birthday sooooo... Pick me! These are so cute! I follow you through GFC!!! like you now on FB too! 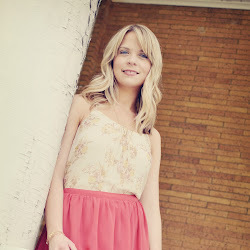 I am a follower of your lovely bloggy. I follow you :) These are adorable - thanks for the chance! love these! I'm glad i'm a follower! I'm a follower! And, yay for international giveaways! I also like you on facebook! I think these are the prettiest earrings I've seen in a loooong time...so...pick me! I've been a follower for a long time :) These are so cute! Great giveaway! I'm a follower, too. Plus I liked you on Facebook!! I am a follower and love your happy yellow earrings. PS I do love a boy who enjoys his food like your Sawyer :) My Connor is the same. I'm a follower. Those earrings are beautiful. Thanks for the chance to win. Those earrings are lovely! I'm a follower! I'm a GFC follower! Yay! 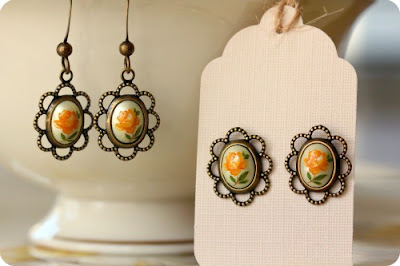 I follow your blog on GFC...beautiful earrings! i am definitely a follower of "little lovelies" blog. very inspiring! i also "like" you on my facebook! Pretty! I'd love to win! I am a follower! Im a follower on GFC and I LIKED you on Facebook! Great giveaway....I'm already a follower! I'm a follower. And these earrings are beautiful. 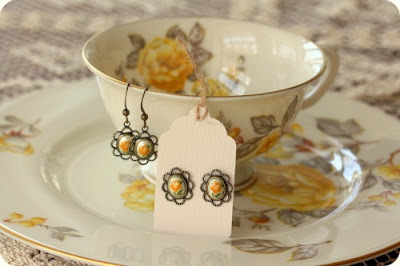 Vintage and yellow - two of my favorite things! Aww...thank you for this opportunity! I am also now a follower on Facbeook, I am Giovanna V. on FB.